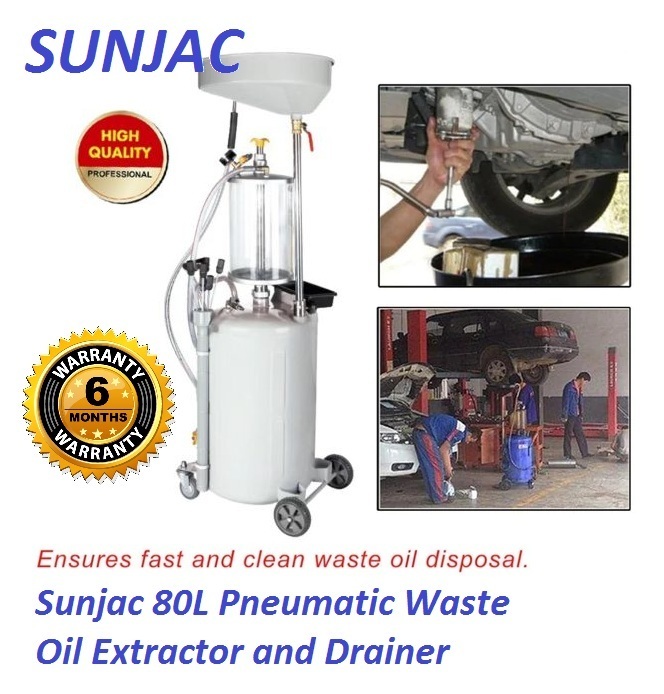 Sunjac 80L Air Pneumatic Waste Oil Drainer & Extractor..
Professional Oil drain tank, with Extractor and Air discharge, with 5 different oil well tubes for collecting all kinds of engine oil and gear oil from auto, agriculture mechanism, etc. 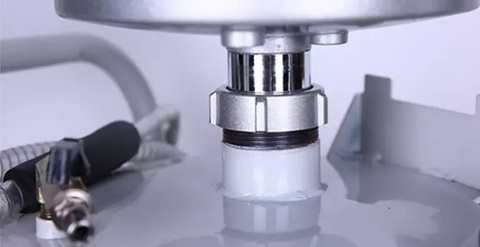 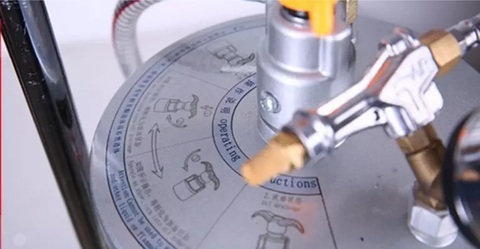 Professional oil drain with Extractor and Air discharge and safety valve, easily transfers the used oil from the 80L tank to your own secondary container for recycling. Height adjustable for draining fluids from vehicles on lifts. 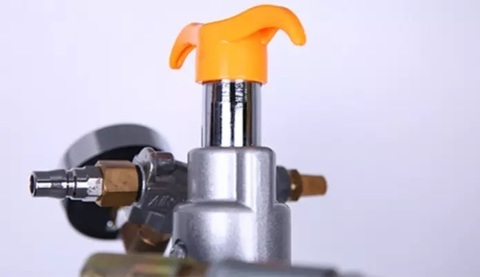 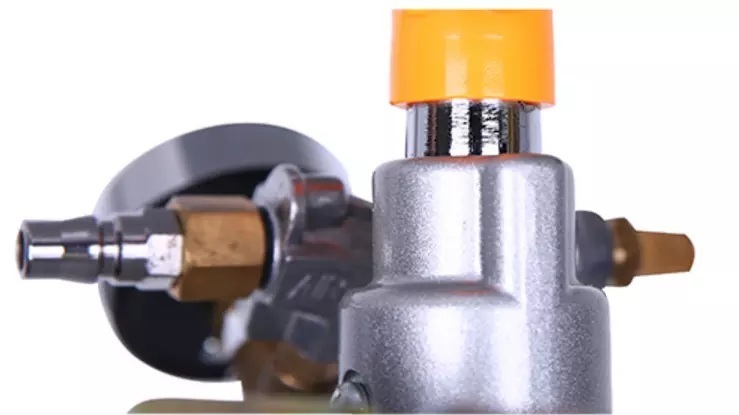 Standard shop air pressure is sufficient to empty used fluids from the storage tank. 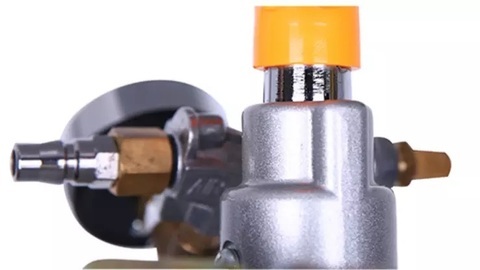 Rugged steel construction, with two steady, and 2 swivel casters. Five different oil well tubes and one convenient work bin are provided for different purposes. 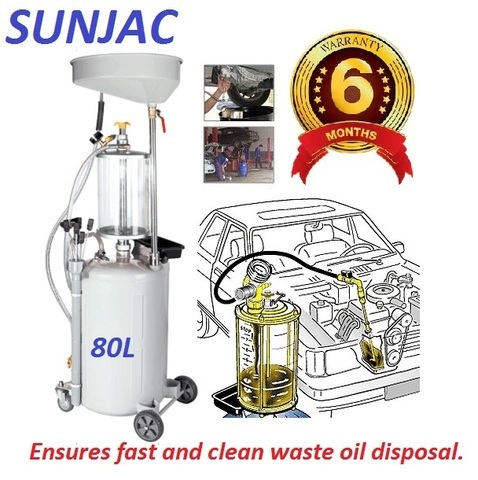 The unit for collect and drain the waste oil from engines, gearbox and other fluids from vehicles. 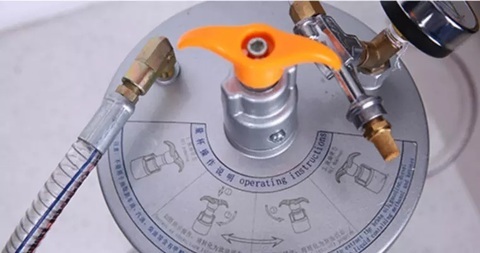 Pneumatic drain the waste oil out under safe working pressure. 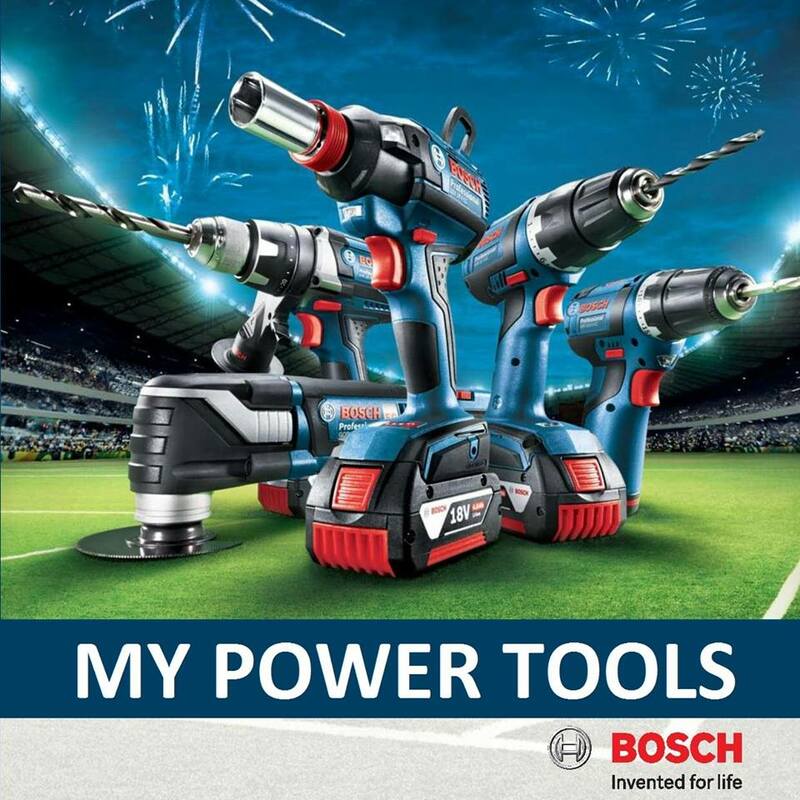 PRICE RM1,099.00..(Sunjac professional garage tools)..